I wish you'd designed the mounts using a CAD tool, and 3D printed the angled mirror mounts. That way I could print my own set - without having to inhale the P40 Dust. 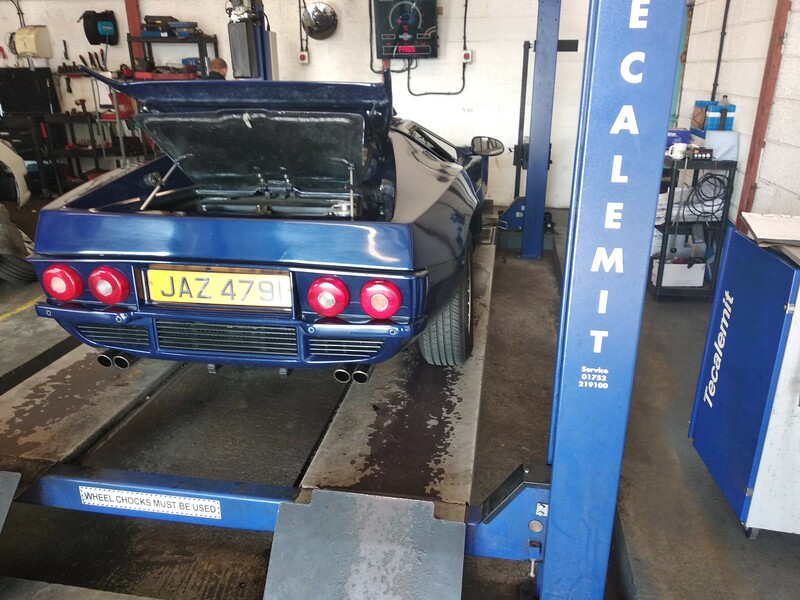 Took it for its MOT, they were very thorough and spent ages on the shake plate checking the front steering and suspension, I had resigned myself to it failing with the amount of time he spent going back and forth and rechecking it. Luckily though it passed with some advisories…..but the play in the steering rack is troubling and I’ve never been fully happy with the set up with this rack. I know at some point I’ve got to change this, but don’t really want to do a body off for a new set-up. Another finding was that one of the rear axle CV hub bolts was loose by the wheel and coming out, a bit worrying but luckily he spotted it. I also got to have a better look at the new stainless steel exhaust which is not so shiny as it was originally. I’m getting the rear boxes changed later this week to try to make it quieter! Congrats on the MOT David! That's a lot of stainless pipe for a rear engined car!! Hope you can solve the steering play without going 'body off' .... coz so many things get added to the 'to do' list when you do that!! Well done on the MOT. Have fun taking the kids out in it. Got some important jobs done today, was at it all day but not really much to show for it at the end. First job was tighten up the rear drive shaft bolts spotted by the MOT man. On e was screwed out by about 5mm and the others were not exactly tight either! I haven’t touched these hubs in 20 years so I guess they worked loose over time. 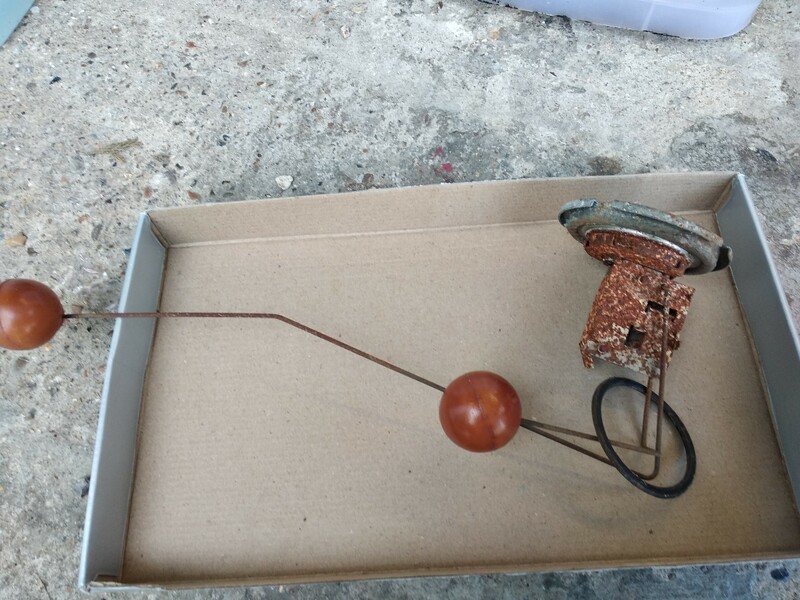 The next job was to fix the fuel gauge that let me down going to castle combe a couple of years back when after I thought I had set it correctly using a gizmo to match the sender to gauge. I suspected the sender unit as when I got a new one and bench tested it to the gauge it worked fine. Upon removing the old sender it was pretty obvious it was the likely culprit! 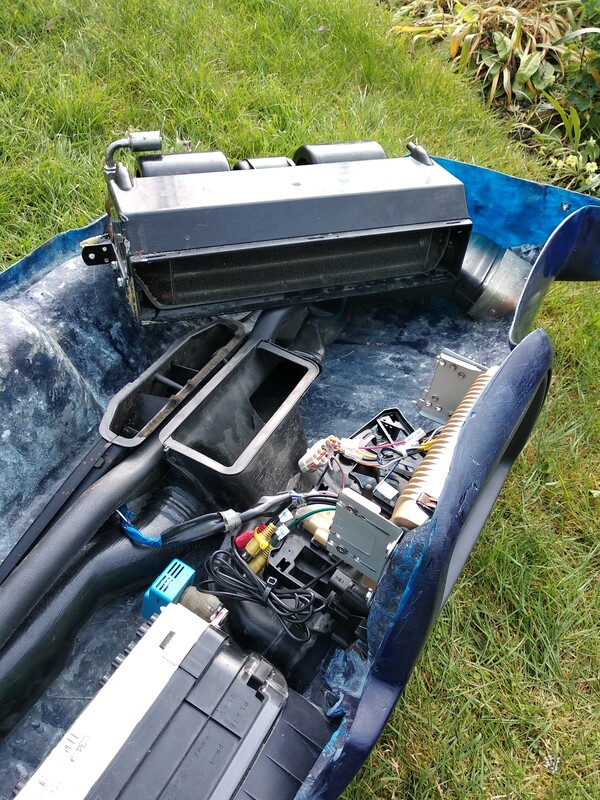 The next job was to fit an electric fuel pump and regulator. This is because I’m fed up after leaving the car for months on end to having to spend ages cranking the engine just to get the fuel into the filter and then the carbs before it can fire. A fully charged battery is often on its last legs before the fuel makes it to the carbs fully to fire. 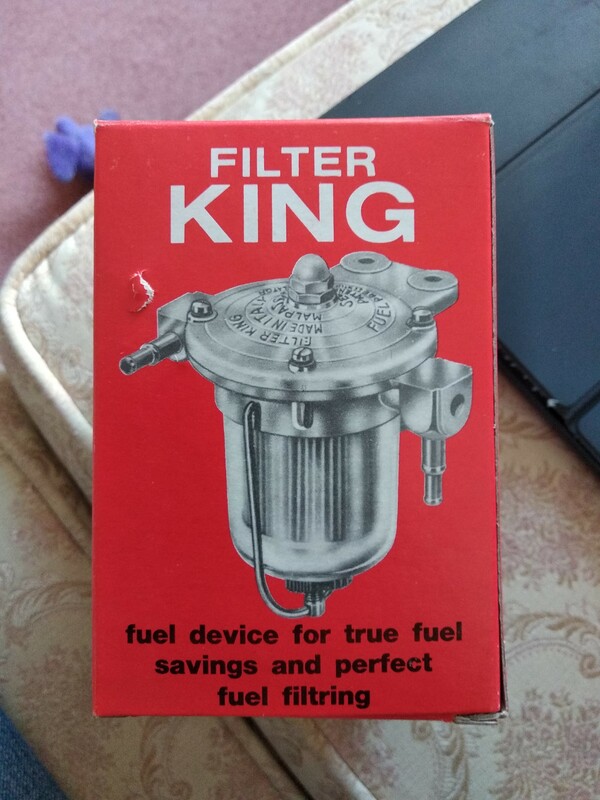 It turns out the filter king I already had fitted was also a regulator. So I now have a surplus brand new filter king regulator if anyone wants it at ½ price as I don’t need two. I can bring it to Stones if anyone is interested in it. Anyway the pump is fitted, wired and works. 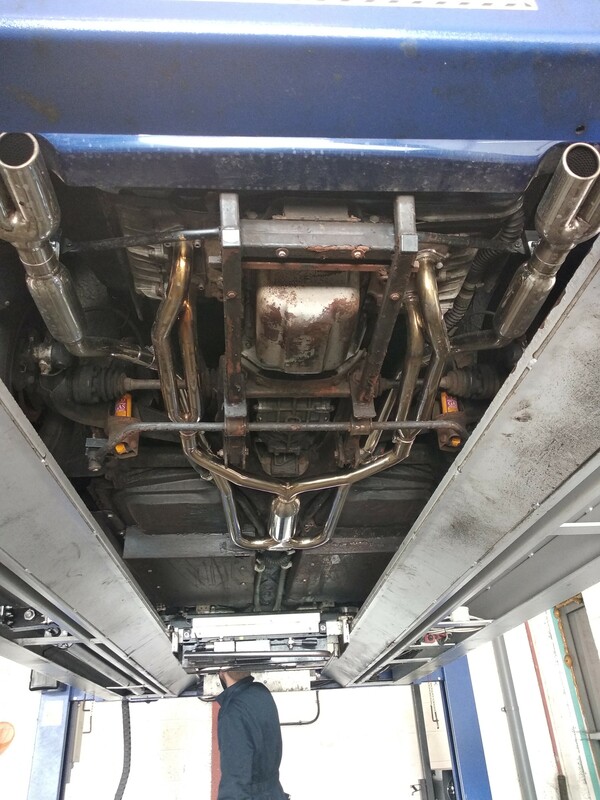 It took a long time just because of the inaccessibility to fit it under the tank with the exhaust and drive shafts in the way. It’s not whisper quiet, but its not noisy either. Once the engine is running it drowns out other noises anyway. Nice start to the updates, are you just working on the blue one? or are you hoping to get some bits done on the other one as well? I know the fuel pump is for a carb engine, but the reason my pump was making a noise was too small a bore fuel supply, Machine 7 do a larger fuel outlet pipe for the tank. What size is the inlet on the pump? I'll have to check the inlet size, it wasn't small. Im going to be sending the blue one for the rear exhaust boxes to be changed in 2 days, that's when I'll start work on the scooby one. The family turn up on Friday so all kit car works stops then unfortunately. Frustrating day on the car with very little to show for it. 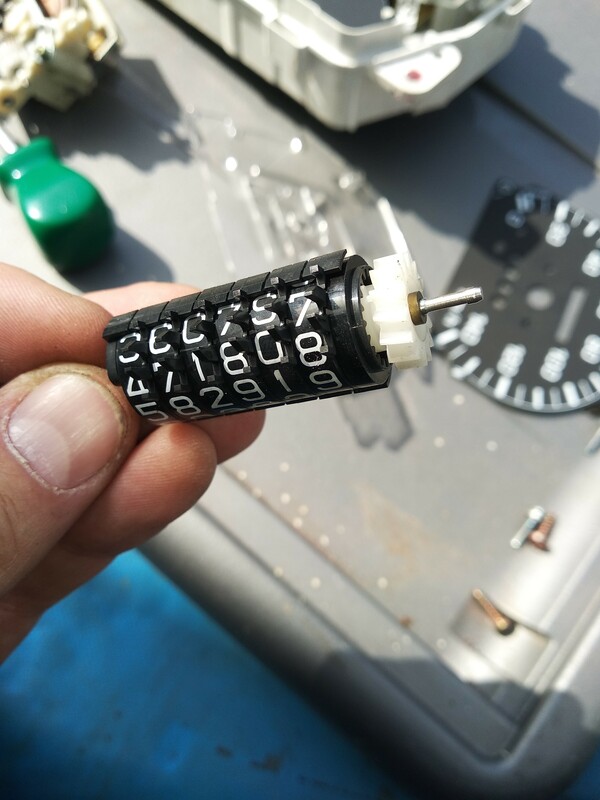 I measured up the speedo cables, as well as doing the various wheel rotation / distance covered measurements so that speedy cables can make a “corrector” box that basically recalibrates the drive cable rotations to match your gauges. The cables sample ends are packed and ready to be sent off tomorrow. 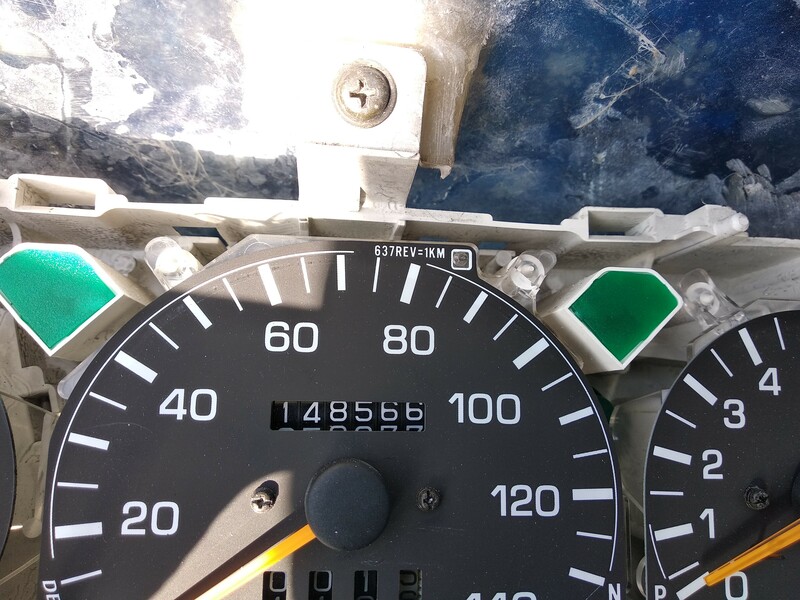 I decided that as my gauge read only in KPH, and that it went to 140 KPH my plan is to get the corrector box from them to give the same number of revolutions per mile as is required for the gauge to cover 1 kilometre. That way all I need to do is change or cover the KPH symbol on the gauge and everything else works. 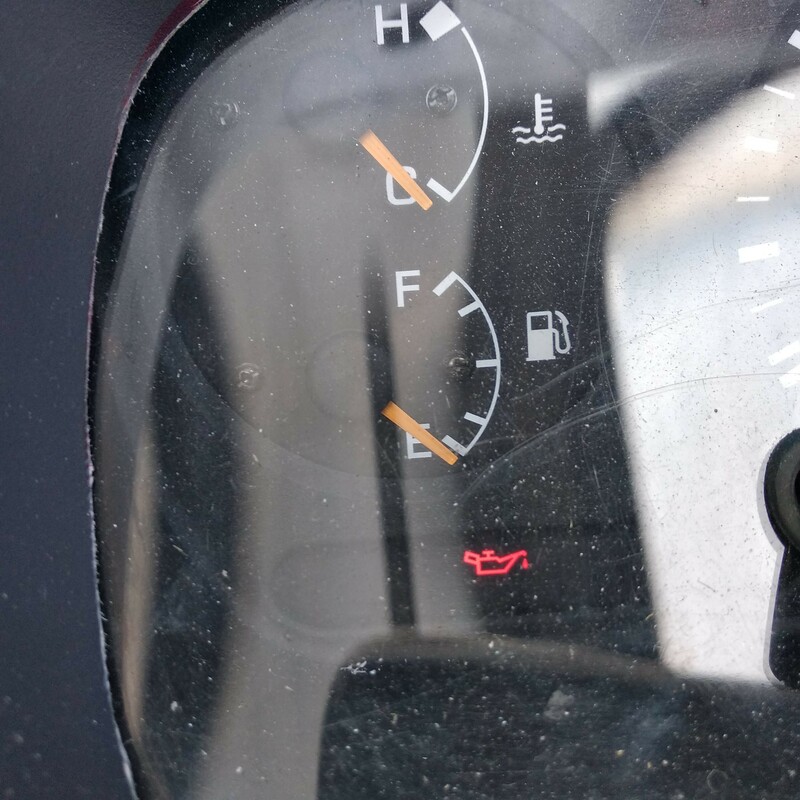 While I was at it I also managed to correct the new gauge odometer to align to the old one so the mileage is correct….err…I’m sure that’s fine officer. I spent many hours pondering how to position the HVAC blower and whether to use the ducting from the original dash. The reason I built the dash was to get more space under it, but by the time everything is in very little space exists. My challenge is getting the HVAC high enough and also making the transition from its plenum chamber to the ducting. 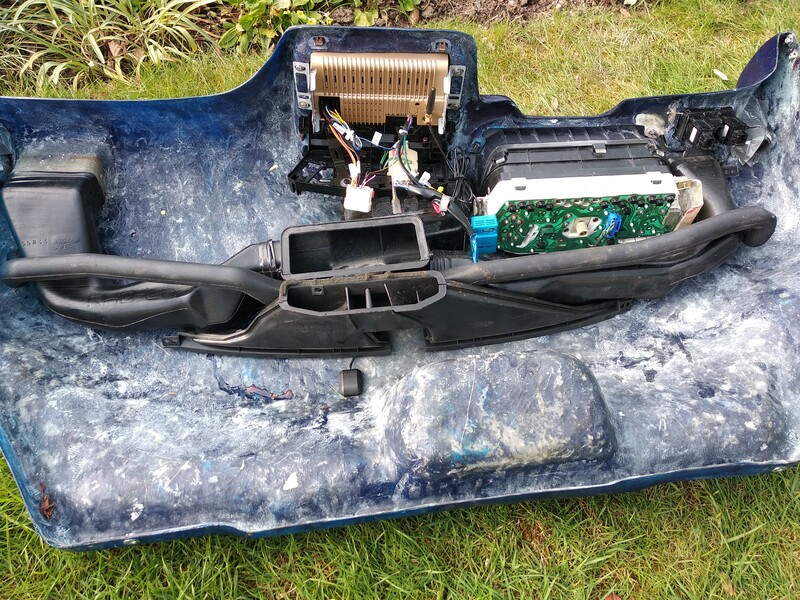 Also having to figure out a flap mechanism to switch from screen to face vents etc……. Basically I haven’t figured out yet…..I wondering if I give up on the idea of air-conditioning and get a smaller heater.